discipleship cards for meeting in person. These are standard size business cards we give to those in our discipleship process. They are helpful tools for the critical conversations of discipleship that can easily fit in your wallet. If you'd like to order some of these cards, fill out a contact form and we'll ship some to you. Otherwise, download the image to your phone and pull them up whenever needed. This card is used for routine weekly meetings. These are the 6 main objectives for a disciple to consistently live out. When first starting, we often begin by focusing on 1-2 points and adding as we go. Many people want to read the bible and pray, but struggle to do so consistently because they feel unequipped and don’t know how. This card is used as a guide in daily devotions to assist scripture reading and prayer. 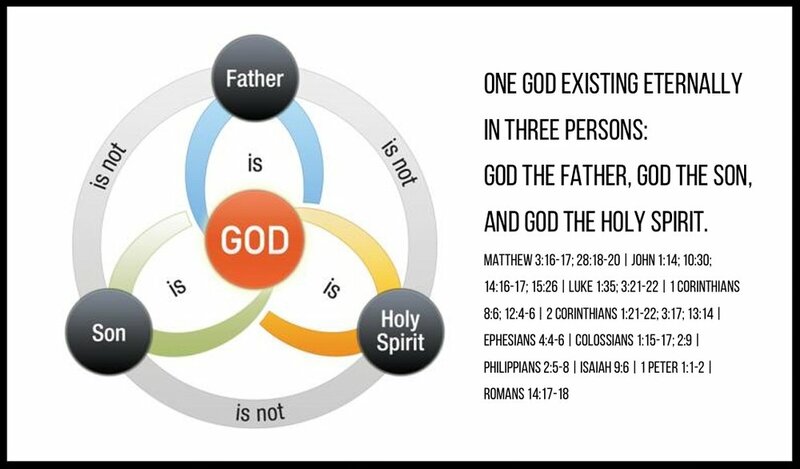 A helpful reference when teaching the core doctrines of the Trinity. It is good to have the diagram and creed at hand in such important and essential doctrines about Trinity.